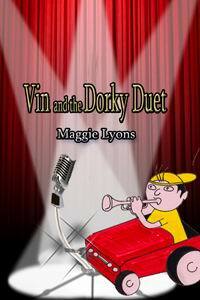 The World of Ink Tours is spotlighting Maggie Lyons, author of the middle grade novel, VIN AND THE DORKY DUET. Maggie Lyons was born in Wales and brought up in England before gravitating west to Virginia’s coast. She zigzagged her way through a motley variety of careers from orchestral management to law-firm media relations to academic editing. Writing and editing nonfiction for adults brought plenty of satisfaction but nothing like the magic she discovered in writing fiction and nonfiction for children. Several of her articles, poetry, and a chapter book have been published in the children’s magazines Stories for Children Magazine andknowonder! MAGGIE, WHAT ARE SOME JOBS YOU’VE HAD IN YOUR LIFE? HAVE THEY INFLUENCED AND INSPIRED YOUR WRITING? For many years I gave private piano lessons to children of all ages, which probably influenced my writing for children in an indirect way. 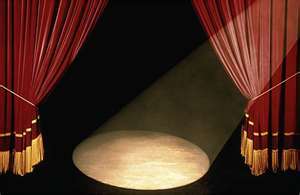 Writing program notes for concerts of the National Symphony Orchestra, Washington, DC and other orchestras in the USA and UK provided the basis for a career of writing in other business fields—yes, the performing arts is a business. All that nonfiction writing helped my efforts to become a better writer of both nonfiction and fiction, though I’m far from fluent in the art. That’s still an aspiration. My middle-grade adventure story Vin and the Dorky Duet is directly inspired by my love of music, which found an outlet in my work in performing arts. MAGGIE, HAVE YOU HAD ANY TRAINING TO BECOME AWRITER? In terms of formal training, one summer, centuries ago, I attended a short creative writing course at Georgetown University. Informally, all those years of writing business-related nonfiction certainly helped, as have countless pieces of advice from members of my critique group and articles on writing, and reading the works of master writers. I SEE NOW WHERE VIN GETS HIS PROPENSITY FOR EXAGERATION! OPERATION BS COMING UP !! Magnetic compost heaps, man-eating bubble baths and other disasters erupt when an inventive seventh-grader meets a challenge to win a David Beckham autographed soccer jersey if he can befriend an unsociable nerd and introduce his sister to the nerd’s hunky brother, whose initials just happen to be BS. The story is about the disasters that pile up when a seventh-grader’s brilliant plan to meet his sister’s challenge takes more than one wrong turn. Life tosses challenges at all of us. It would be incredibly boring if it didn’t. What matters is what we learn from them. VIN AND THE DORKY DUET SHOWS MAGGIE’S ABLILITY TO COMPOSE A PLOT AND PEOPLE IT WITH CHARACERS THAT SOUND AS IF THEY COME RIGHT OUT OF A TUPICAL AMERICAN SCHOOL–BUT WITH A SHAKESPEREAN KNACK FOR MIS-ADVENTURE. VIN IS A NON-STOP GAB MACHINE OF QUICK-WITTED HUMOR AND EXAGGERATION. Although we were in the same seventh-grade homeroom and the same classrooms for a couple of periods, we didn’t sit close to each other and telepathy wasn’t an option. “Eeuw! What’s that?” Eyeballs squinted at the page through the glass bricks on his nose. The ball had cracked, spilling the whales’ ocean. Eyeballs picked up the key chain with a paper napkin, dropped it on the floor, and dabbed at the page with another clean napkin. Who else but Eyeballs would have had paper napkins in his pocket? It surprised me that a nerdy person like Eyeballs could say anything so obvious. He looked at me as if I’d totally destroyed a sacred object, blown up a statue of Einstein or something. “You could try using bleach. My mom swears by it.” I knew as soon as I’d spoken I shouldn’t have said that. his nose, and shot out his tongue. He looked like a constipated iguana. Ms. Foote took the note from Snitch and glared at me. LET ME ASSURE YOU, DEAR READER, THAT THE DUET WAS PLAYED HARMONIOUSLY. MAGGIE, THANKS FOR STEPPING INTO THE SPOTLIGHT ON STORIES A LA MODE. Full Media Kit, Photos and more are available upon request electronically.